The Ghana International Book Fair 2018 will be hosted in Accra, Ghana from August 30 to September 2, 2018. The Ghana International Book Fair was founded in the West African country in 1996 to raise the profile of a then fledgling publishing industry. The fair ran biannually until 2008 when the organising committee decided to make it an annual affair. It is now one of the most important book fairs in West Africa with local and international book industry players coming together to trade books and negotiate deals. The public also get in on the fun with the opportunity to access to a variety of good books and buy them at highly discounted prices. The fair usually comes to fruition with the collective efforts of the Ghana Ministry of Education, Ghana Book Development Council, Ghana Book Publishers Association, Ghana Association of Writers, Ghana Printers and Paper Converters Association, Ghana Library Authority, and the Ghana Library Association. 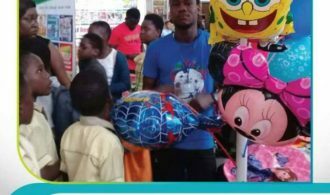 The 2018 edition of the fair, which will be its 16th iteration, will be hosted at the Accra International Conference Centre from August 30 coming to an end on September 2. It is more of a trade event with players in publishing coming together and a large focus on next generation of readers thus an educational bent like many of the older ones on the continent. If previous traditions like happened in 2017 are upheld you can expect very little for adult readers like you would expect at a literary festival like author panels, book readings, and poetry performances. There has not been any mention of this year’s theme or which are the guests who will attend but we shall share them as and when they are available.